A relative newcomer to Square Enix’s music team, Yasuhiro Yamanaka has worked on a variety of projects in roles as a synthesizer operator, mastering engineer, and arranger. Yamanaka developed a passion for music during his youth, having learned how to compose and play the piano and bass guitar. In late 2004, he applied to join become a synthesizer operator at Square Enix, with some electronic demos in hand, after a vacancy opened. After being accepted, he initially implemented the music for Kumi Tanioka’s score for Code Age Commanders. To depict the title’s otherworldly setting, he emphasised a distinction between the score’s cold electronic elements and warm orchestral passages. 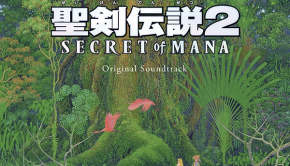 Yamanaka was personally responsible for the electronic additions of many of the score’s compositions and was specifically credited for arranging the game’s beat-heavy main theme. 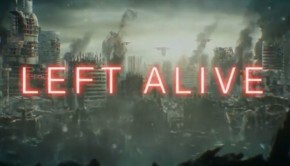 Among his other responsibilities were three light-hearted compositions to represent the Otero and offered two experimental remixes for the game’s soundtrack release. Yamanaka’s subsequent role on Hidenori Iwasaki’s Front Mission 5: Scars of the War brought new challenges for the manipulator to overcome. 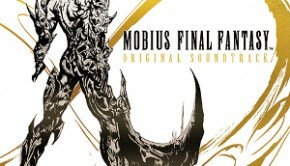 He employed cutting-edge sample libraries throughout to achieve a more full and realistic sound than other Square Enix scores released by that point. As a result, he became known among his colleagues as an ’electronic whiz kid’ given his ability to manipulate Virtual Studio Technology plug-ins. Given the compositions ranged from full-orchestral military anthems to intense electronic action themes, he nevertheless needed to be highly adaptive in his approach. In wider roles, he also added ominous electronic parts to several of the game’s boss themes and created a fully-fledged electro-orchestral composition, “Breaking Limits”. Yamanaka also made several contributions to the Square Enix Official Bootleg series later that year. He co-composed “Damage” and “Aquarius Option” with Tanioka in a similar style to Code Age Commanders, before going solo on the ethereal exploration “Eleven Motions”. During 2006, Yamanaka explored the capacity of a technologically limited console, the DS. 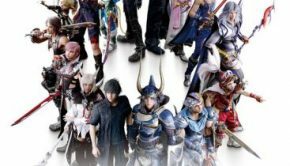 On Final Fantasy III’s remake, the composer implemented arranged versions of Final Fantasy classics on to the console. The music featured on the Final Fantasy III Original Soundtrack was mastered before the conversion process to the DS. With the exception of the opening theme, he was forced to downgrade the remaining scores to accommodate the 128 MB ROM capacity. As part of the internal unit muZik, he also offered a cutesy technopop arrangement of “Eternal Wind” for the game’s album release. He was forced to make compromises on the score of the storybook title Final Fantasy Fables: Chocobo Tales, comprised of further Final Fantasy arrangements. He nevertheless optimised the final sound to convey the melodies of Nobuo Uematsu’s original compositions and the novelties of Joe Down Studio’s arrangements. Yamanaka encountered similar challenges on Final Fantasy Crystal Chronicles: Ring of Fates alongside Kumi Tanioka. He once again worked closely alongside the composer, arranging the various rhythm parts of the compositions and programming the samples into the DS. He was required to substantially modify the orchestral compositions so that they could be accommodated on the restrictive console, but nevertheless persevered to preserve the personality of the score using appropriate sample choices and efficient arrangements. Yamanaka also returned to work on Final Fantasy Crystal Chronicles: Echoes of Time during its last stages of production. 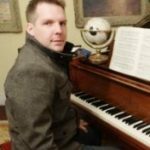 While he had no direct involvement as an arranger, he carefully manipulated the music for the console to yield a rich and worldly sound. For the first time, he also served as a mastering engineer for its soundtrack release; in this role, he processed and recorded music from the title for playback on the album release. More recently, Yamanaka has worked closely with Tsuyoshi Sekito on diverse next-gen projects. They initially engaged in a fulfilling collaboration on the vast score for The Last Remnant. Yamanaka polished and implemented close to a hundred diverse compositions — spanning from orchestral cinematic cues to vast worldly setting themes to rocking action tracks — for playback on the Xbox 360. He was also entrusted to compose 12 of game’s tracks, most of them dark percussive fusions used during the game’s dungeons, and also prepared a special battle medley for the game’s promotional album. The Last Remnant Original Soundtrack also marked Yamanaka’s first role as a mastering engineer. Having impressed superiors with his work, he went on to serve this role for numerous other albums — among them, the soundtracks for Tactics Ogre and Blood of Bahamut, the reprints of Chrono Trigger and Drakengard, and even the 20 disc box set to commemorate the Mana series. In each case, he used specialised set-ups at the internal Q/11A E07 Studio. Yamanaka continued to develop his relationship with Sekito through several projects developed by external studios. He handled arrangement and implementation of the diverse fusion scores for Gyromancer and MindJack, between mixing the contemporary Death by Cube. Taking the lead role on the iOS’ Imaginary Range, Yamanaka produced a number of beautifully mixed electronic tracks and previewed them on a charity album. Also continuing to contribute to Square Enix’s album releases, Yamanaka’s additions span rock-orchestral fusions for Music for Art, dark electronic pieces on Sengoku IXA’s image album, and cheeky remixes for X’mas Collections, Chips SQ and Lord of Vermilion Re:2. 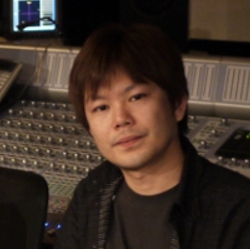 Most recently, Yamanaka was promoted to sound director on the well-received 3DS RPG Bravely Default: Flying Fairy — he made sure all the game’s music and sounds would be compatible with the image and budget of the game, and briefed composer Revo throughout the development. Described as a young and diligent perfectionist by his colleagues, he looks set to enhance numerous scores and albums in coming years.